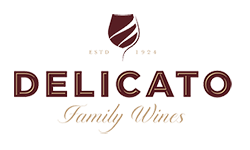 Delicato Family Wines is one of the fastest growing wine companies in the world, celebrating 90+ years of California winemaking and grape growing heritage. Family-owned and operated since the company’s founding in 1924, three generations of Indelicato family have fostered the winery’s commitment to innovation, quality and environmental stewardship – cornerstones that have harnessed the family’s long-term focus and solidified the winery as an internationally recognized leader in the industry. Our founder, Gaspare Indelicato came to America through Ellis Island more than a century ago and planted a vineyard in Manteca, California. It reminded him of Sicily where his family had grown wine grapes for generations in Italy. With his three sons, he established a vineyard and winery while simultaneously building a solid reputation for making quality wines. Gaspare passed along a tireless work ethic and dedication to excellence to his sons, the second generation. They expanded the winery and purchased prime vineyard land, further rooting the family’s legacy in California wine. Today, third generation family members run the company with the fourth generation in training to join their parents, aunts and uncles within the next few years. “My grandfather Gaspare came to this country with nothing more than a dream. It took decades of hard work, but he was able to make that dream come true,” says Chris Indelicato, CEO and President of Delicato Family Wines. With long-term focus, strategic vineyard assets and a commitment to investing in the future, the dynamic third generation now leads Delicato Family Wines. Building on 90+ years of experience, the company is recognized as one of America’s top ten fastest growing wine companies. Generations of family values, hard work, high standards, and respect for people are a living part of our achievements and the base for our future success. By understanding our customers and investing in the future, we are leading innovation. We’re launching new wines in fast-growing categories and capturing consumers’ attention with quality wines that intersect with their lifestyles. This energy and agility reflects the family-owned advantage that guides us to continued progress. "Respect for our land, our people and our uncompromising commitment to quality will endure for the next 90 years." -Jay Indelicato, COO of Delicato Family Wines.